�50: includes tea, coffee and lunch (25% discount for Hippocrates Society members). Does not include optional dinner in Kenilworth from 7pm on 21st April. The Hippocrates Initiative is pleased to announce a one-day workshop devoted to a question that has continually presented itself as an unresolved difficulty over our nine years of symposia: when poets and literary scholars on the one hand, and medical professionals on the other, speak of poetry, do they mean the same thing? On Saturday 21 April 2018 we shall meet at the University of Warwick to discuss doctors and poetry, poems on medical subjects by non-medical writers, poems on non-medical subjects by medical professionals, the nature and function of poetry for medical professionals, and that thorniest of issues, what we talk about when we talk about poetry. The workshop will run from 10 a.m. till 6 p.m. and will include lunchtime and late afternoon readings by medical professionals and Hippocrates Prize winners. 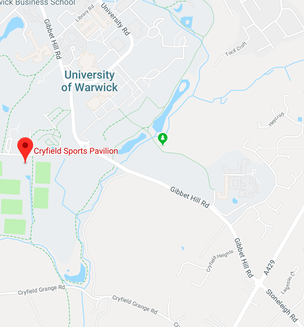 The Warwick University venue for the workshop, Cryfield Sports Pavilion, accommodates 60, and the number of participants is therefore capped at that figure. The charge for the day, to include lunch and refreshments, is �50. A detailed programme will be posted here shortly. To register please click here. What we talk about when we talk about poetry.